Hogs lacrosse is having a bumper crop this fall. Fourteen new members have joined the club, including 10 with playing experience and 10 freshman. Silvaggio said the incoming group is a testament to the growth of lacrosse and the team leaders’ effort to raise awareness about the club on the Quad. 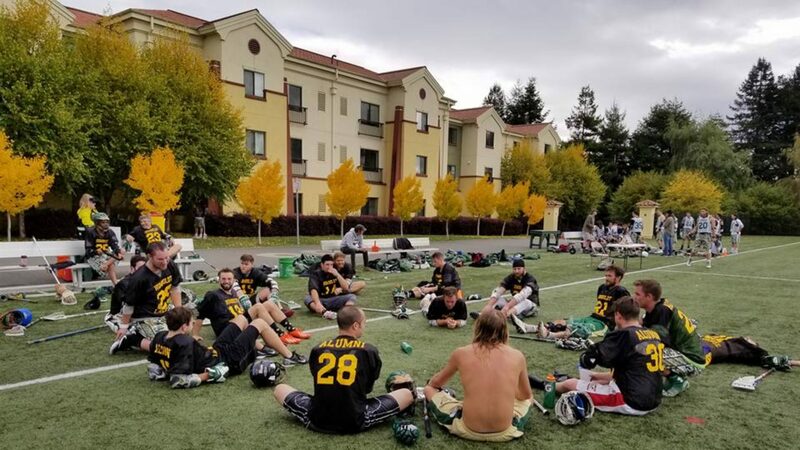 “Part of our recruiting is going out on campus, because many students don’t know we have a lacrosse club so the first four weeks of school they went out and recruited a bunch of players,” coach said. After losing all-American attackmen in back-to-back seasons, the Hogs are looking to reload on offense but have a solid short and longstick defense. Silvaggio said he wants to bring in a few more players by spring and is shooting for 22-man roster to help keep legs fresh late into the season. In 2016, the Hogs play four games at home and six games on road.